USA Today has launched an ad-free subscription offering for its mobile app for $2.99 a month. Andy Yost, CMO of USA Today Network, said the new subscription option was created to give readers more choice. “The decision to introduce ad-free into our mobile experience stemmed from the dozens of comments in our app’s reviews section of people essentially asking for an ad-free version of the app that they’d be willing to pay for it,” he said. 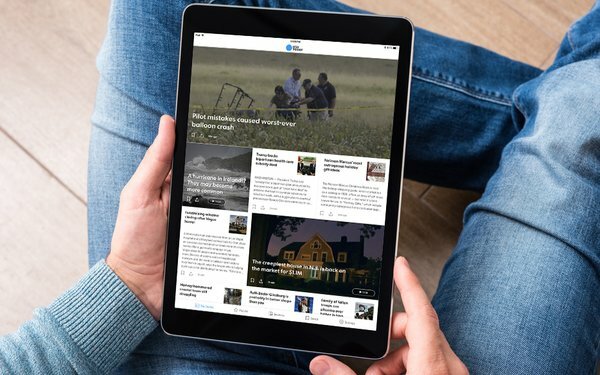 USA Today is offering a 14-day free trial for mobile readers. Its site will remain free, though it does ask readers to turn off ad blockers when detected. The offering isn’t necessarily about driving revenue, he added, but to experiment to see what readers respond to. Yost said the USA Today Network is exploring adding additional premium options, such as exclusive content or early access to content. The ad-free subscription option is available via an in-app purchase on iOS and Android mobile phones and iOS tablets. The offering will expand to Android tablets next month. In April,The Atlantic erected a paywall against online readers using ad-blockers, giving readers two options: whitelist the site, or pay for an ad-free subscription. Early this year, The Wall Street Journal announced it was exploring an ad-free digital offering.